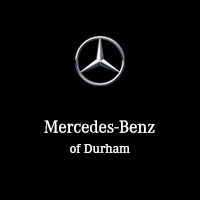 If you are thinking about Mercedes or If you are looking to receive the best service & getting the best deal for your next Benz, this is the dealership you want to visit. I had the best customer experience here with MB Durham compare to many other locations in GTA. The team here works professionally, they helped me and my friends to secure the best cars with the best deal. I recently ran into a tire situation and after explaining the background, they were able to identify the issue for me right away and provided me full transparency of the cause. They offered to order me a new tire and asked if I need a loaner vehicle for the whole duration. This is the level of service and professionalism they showcase! Big THANK YOU to Ivan and his team again. Visited MB Durham week ago and picked up my new baby. I can tell, this the best place if you are looking for your company conquer the future journey.Leo is the professional in providing good advice and giving you the excellent experience you are looking for. Absolutely, he is always working towards getting ur best deal. If you drop by the dealership, please ask for Leo’s help, you won’t regret. Mr. Rui Martins is the best and the only whom I would deal with. He is an icon of Mercedes Benz in the World. This is my first time I was in a Mercedes -Benz dealer and sales specialist Leo Zhang was very professional and courteous. He is very patient and knowledgeable. It was definitely one of the best buying experience in my life. Leo is excellent brand ambassador and an great asset to the dealership. I highly recommend him to my friend who is considering purchase a car. He always provides what you need. Thank you Leo! Very friendly staff. Made me feel right at home.